The latest banking scandal involving Barclays (not to mention the additional scandal of banks miss-selling policies to small businesses) has deepened that sense of betrayal that we all feel about how the financial world, driven by it’s hog-like greed for more, has brought us to this sorry impasse where economies struggle and working people, having little to start with, relatively, foot the bill with labour and debt. Add financial industry greed to political ineptitude and the legacy left for our children is shameful. Between 2005 and 2009 (?) traders within Barclays falsified their LIBOR submission thereby depressing the LIBOR rate and misrepresenting the true corporate financial position of the bank. Hands have been thrown in the air in horror. Methinks politicians speak with forked tongue. Again. Why are they so surprised ? In the Golden Era, Treasury traders within banks could make millions of pounds for the bank in minutes by investing in the “right” places. Do this every day and you’d begin to feel infallible, your boss loves you, look how your figures rise, you are God-like with an unchallengeable eye for judgement. I envisage pictures of Gordon Gecko on all workstation walls. Is it any wonder that misdemeanours took place when the going got tough ? But all this is very tricky. 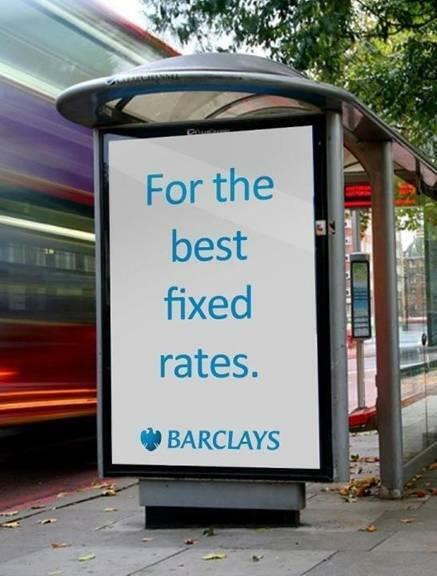 Not only is there the usual two-facedness of it all, but the falsification of the borrowing rate by Barclays, at a time when everyone else’s seemed to be high, had the impact of showing Barclays in a stronger light when others were struggling. See The Crash. Lehmans etc – the run on Northern Rock. What would have been the consequences of Barclays, a giant in the financial world, declaring that their costs too were shooting through the roof ? Did their subterfuge steady the capitalist tiller ? A news item on the challenges of Barclays would hardly help a system already rocked by scandal ? Is it conceivable that we would have entered a world of Newspeak to prevent any mass rumour mongering ? I’m not apologising for Barclays, regular readers here know where I stand on the “ Che – Thatch O’Graph”, but just pointing out where the Parliamentary Enquiry is going to stumble before the tea goes cold, and Bob can invite his Parliamentary buddies round for a glass of Bolly and canapés. And anyway, if you intend to drag the God-like before the committee, it will indeed be a miracle if any regulation comes of it. Eventually all the mess trickles down to the average Joe, we supposedly just have to deal with it (how long will that last? ), and those with power, financial and political, keep hold of what they have at our expense. I barely understand the awful intricacies and can’t remember exactly what a swap or a derivitive is to save my life. The whole business makes my head ache. I don’t understand it either, Ré. I get bits and if I get stuck I ask Fi ( she works in finance, the clean kind) and she tells me what’s good and what’s bad. In the end, these people are white-collar thieves and should go to jail. That just might help get the whole mess cleaned up and repaired for a better future. Jared, that’s great. All that fight training sure comes in handy, huh? Love it. I figured you must be busy working which I also figured must be a good thing. I might have begun to worry about 4 more months down the line and started trawling the NY Times for ghastly headlines about struggling actors. 🙂 But it’s great to see you working. Really pleased for you. Ah, the big issues, the manipulation of the masses. Bruce Springsteen had his mic cut at a Hyde Park show last week to stop the show. Little Stevie was shocked ” When did the UK become a Police State?” he asked. Well, Mr.Stevie, Sir, where do you want me to begin.